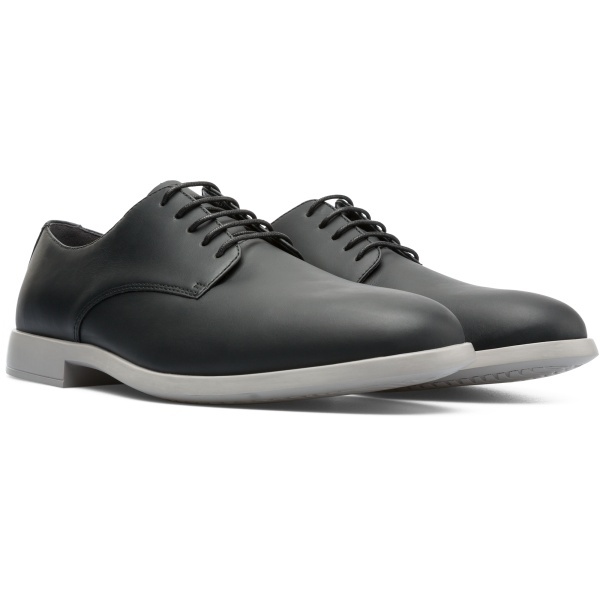 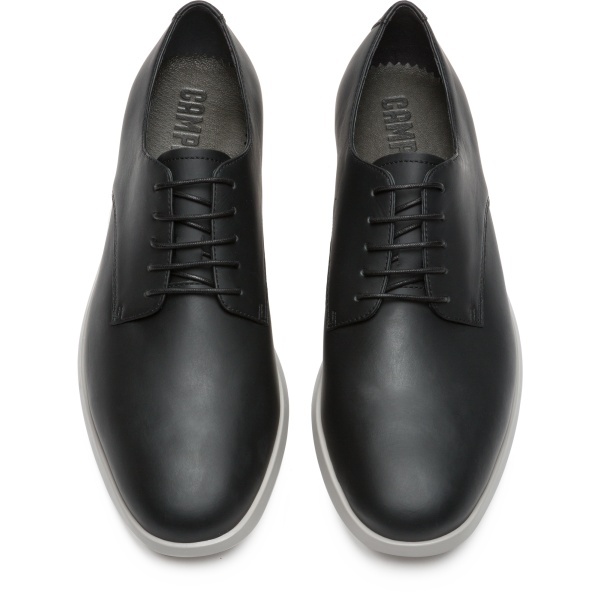 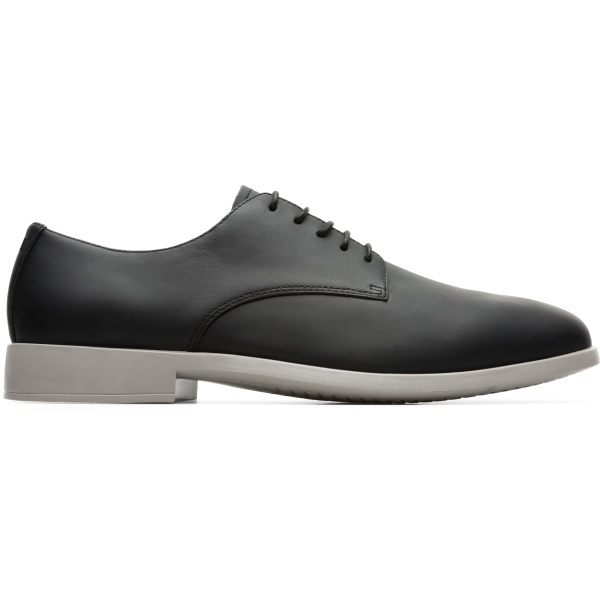 Traditional style and innovative design unite in these men’s black leather lace-up shoes that put a playful twist on classic typologies. 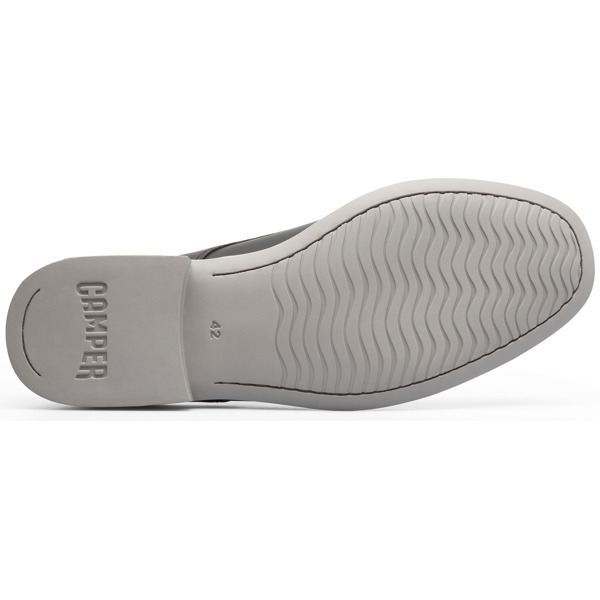 The well-buffed uppers, made of rubberised matte leathers, are put together with 360° stitching for enhanced durability. 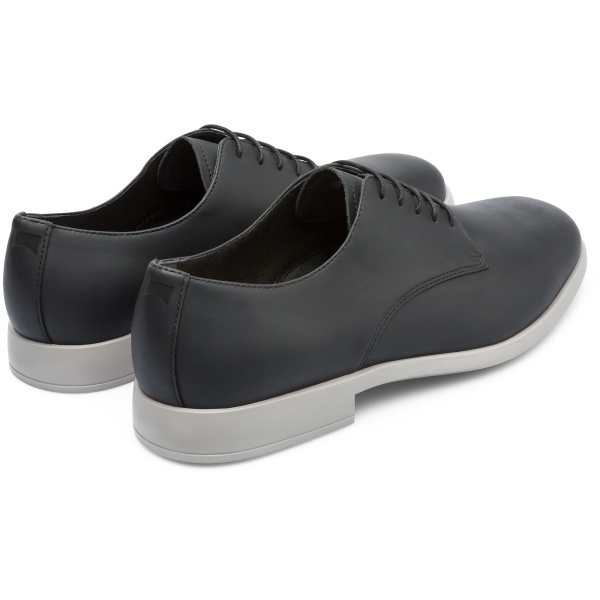 The outsoles are made of rubber to offer extraordinary grip and are great for all kinds of formal and not-so-formal occasions.